If you liked this show, you should follow Writers Life Chats. 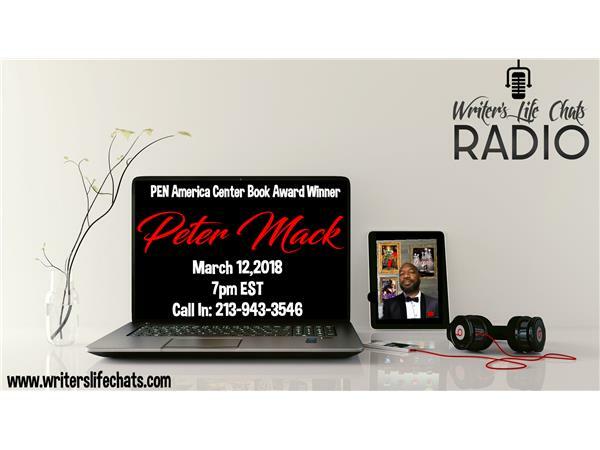 Born and raised in Los Angeles, California, Peter Mack is the pen name of Isiko Cooks, CEO of Peter Mack Presents, LLC. He has been writing groundbreaking novels for over ten years, including his recent release, FILTHY, based on a true story and winner of a PEN American Center book award. Peter Mack writes with desire, motivation and dedication in pursuit of peace, power and position. To live rich and die ready is the path to it all. Peter Mack strives to represent the best of creative fiction by offering dynamic situations with relatable characters. All of his novels are based on true events that readers find themselves living long after the last page is read. Isiko Cooks is the father of Jelani Malik, whose mother, Lisa Nichols, is herself an accomplished author and motivational speaker.